Retooling ‘Cities for Life’: New Approaches to Urban Infrastructure and Service Provision is a conversation hosted in partnership with UN-HABITAT and the Ford Foundation in conjunction with WUF 7. The development of “Cities for Life” requires infrastructure to bring life’s fundamentals to the community: water, sanitation, housing, transportation, energy. Historically, stark inequities in access to these basics have divided cities, leaving informal communities marginalized and their residents struggling to survive. What would an equity-driven approach to urban infrastructure development look like? Who should participate and what part should they play in order to bring about a sustainable approach that will deliver the desired results in terms of inclusiveness as well as delivery of services? How can players of various types — from government agencies to profit-driven vendors, from grassroots community organizations to academics and urban planners — complement one another and coordinate their contributions to produce a coherent, effective whole? How might new technologies and service models transform the array of possible infrastructure solutions? The discussion examined all these elements and explore ways of integrating them into an urban infrastructure matrix that delivers the goods while serving the goals of justice, inclusion, and urban sustainability. 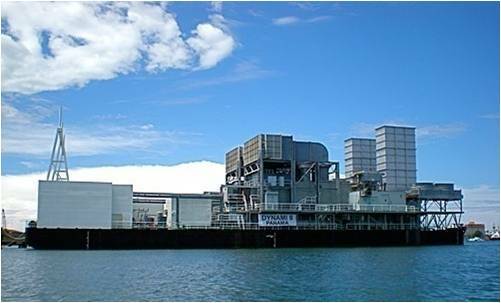 An Independent Power Project (IPP) that operates nine (9) barge-mounted gas turbines, producing 270MW of electricity. Power supply, generation, and distribution are some of the many challenges facing developing nations. Lagos receives 25 percent of the power generated in Nigeria every day, but it’s only enough to meet less than 10 percent of the energy demand. In response to the inadequate supply, the city government has created three running independent power project (IPP) plants that generate energy, and two more are scheduled for completion before the end of 2014. The existing IPPs supply energy to city facilities such as the City Hall, the State Secretariat, and hospitals to ensure that public services are being delivered promptly, without the challenges that accompany the lack of power supply. While these three plants do contribute to improving service delivery, they do not currently supply private homes, businesses, or industry. The IPPs also help power streetlights, improving driving and safety conditions. The city is definitely not where it needs to be considering its power needs, but plans are looking to expand to more areas and to improve the generation and distribution capacity of energy. The state government is calling for private partnerships to invest in power infrastructure in an effort to improve generation capacity and to meet the power demands of the city. Increased investments in independent power generation plants will expand street lighting across Lagos, and also increase the possibility of extending generated energy to homes and businesses. Wura Ladipo-Ajayi (Lagos community manager) is fascinated by human development, its effect on poverty eradication, and how various programs such as Corporate Social Responsibility initiatives might contribute to development. She is passionate about development issues and has worked for a range of organizations that includes the International Rescue Committee (IRC), the Economic Community of West African States (ECOWAS), and Google Inc., among others. She holds a BSC. Honours Economics degree from the University of West Georgia and an Msc. International Development degree from the University of Bristol. She is excited to be exploring how social platforms can contribute to development efforts. This seems like a prime example of a good location to test large scale citizen driven crowd sourced infrastructure development of small scale wind and solar installations on-site. An example being a school can have solar fitted to the building roof and wind towers on the sport fields. Excess power is fed into the grid generating income which can be reinvested. Its an alternative to expensive large scale complex long-term energy policies when building or planning public, private or partnership energy policies. Especially when there are cash constraints or concerns that benefits wont reach intended end-users.